Where in the World has the BWW jersey been? 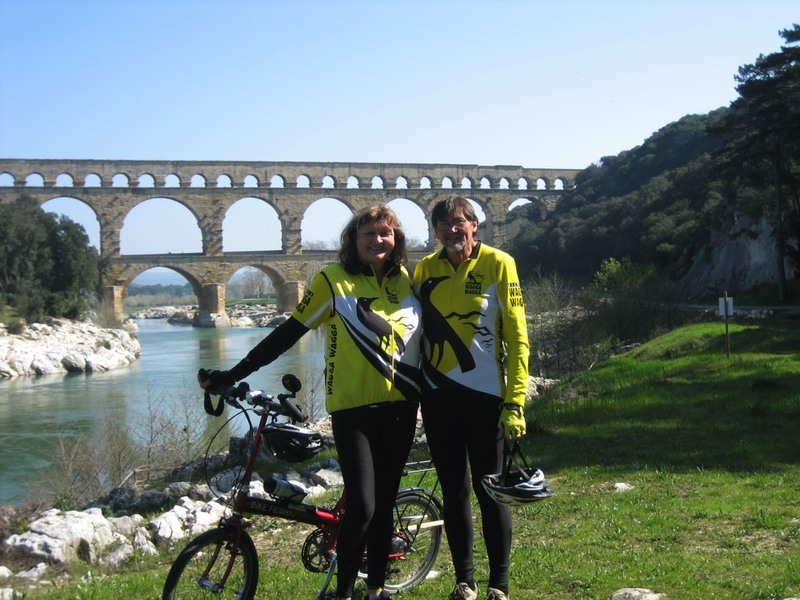 Jane and Graeme Buchan pose in front of the Pont du Gard, a Roman aqueduct that crosses the Gardon River near the town of Vers-Pont-du-Gard in southern France in 2011. 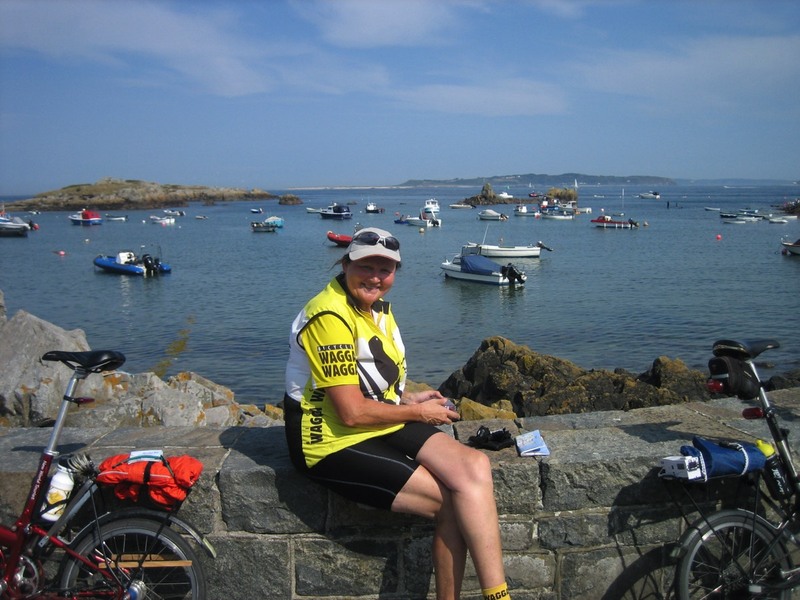 Jane Buchan enjoys the sunshine on Guernsey. Photo taken in 2011. 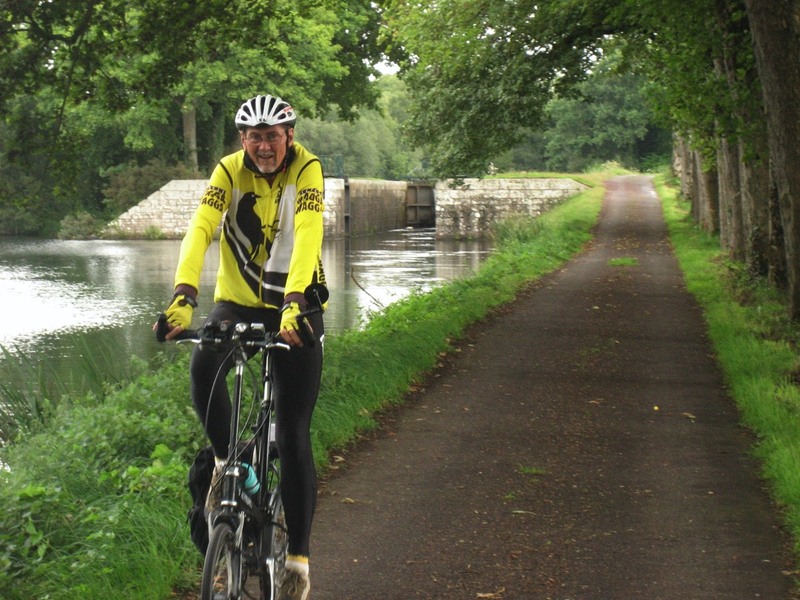 Graeme Buchan pedals beside the canal near Pontivy in France, 2011. 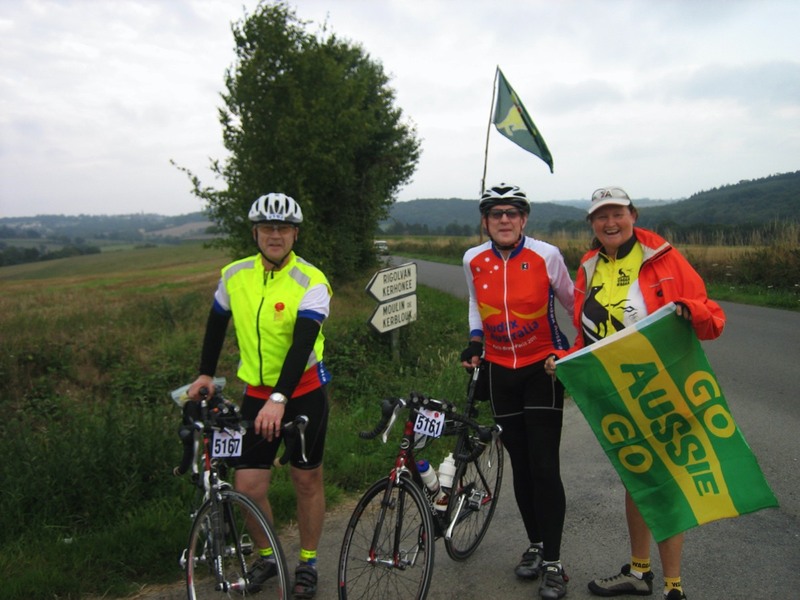 Peter Dixon and Garry Skeers take a break on their Paris-Brest-Paris quest (2011) encouraged along by Jane Buchan. 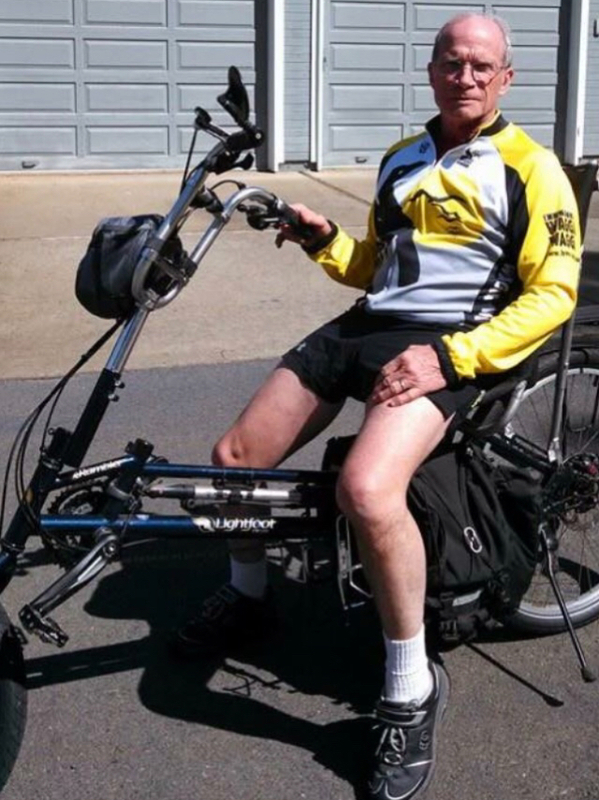 Marv Farthing, Owen Plowman's brother-in-law and great cycling pal, flying the BWW colours, June 2015. 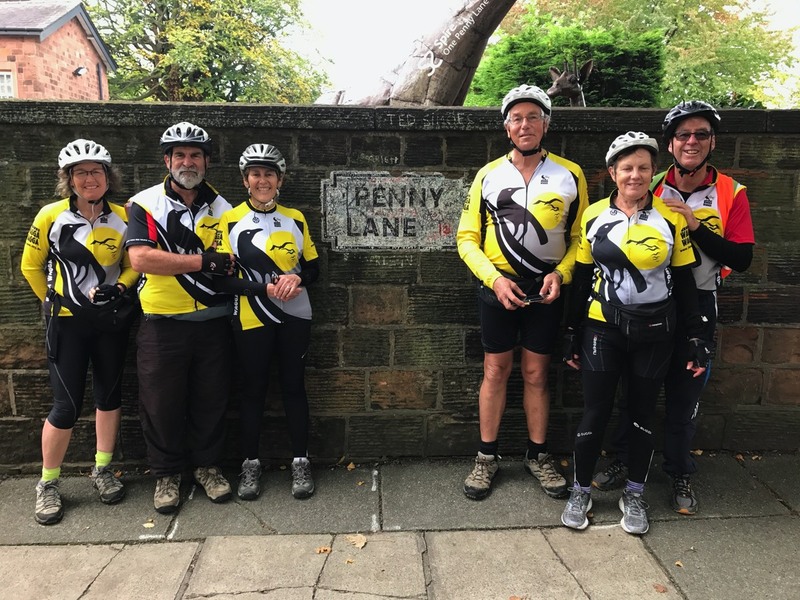 Geri Louis, Ken and Paula Davis, John Louis and Beth and Paul Castle sport their BWW clothing in the lane made famous by The Beatles. This photo was taken on 24 September 2017. 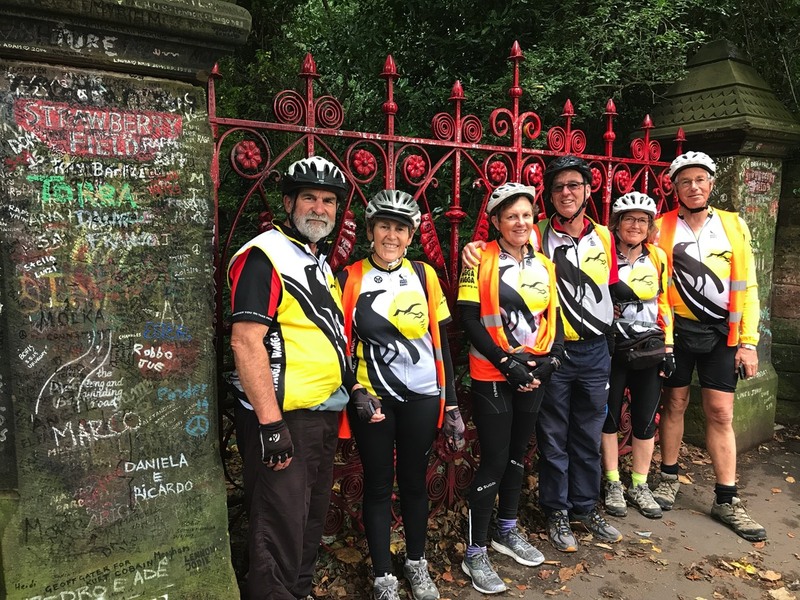 Ken and Paula Davis, Beth and Paul Castle and Geri and John Louis found this landmark made famous by The Beatles. Snapped on 24 September 2017. 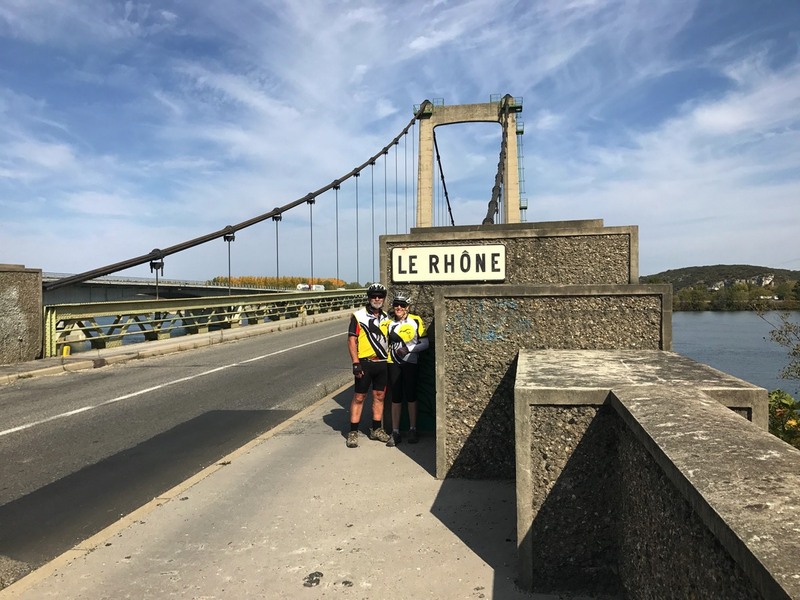 Ken and Paula Davis pose at the bridge over the Rhône River on 13 October 2017. Some running repairs are made by Paul Castle while Ken Davis and John Louis ponder if this will do the job by the Canal du Midi, Sainte-Eulalie, France on 18 October 2017. 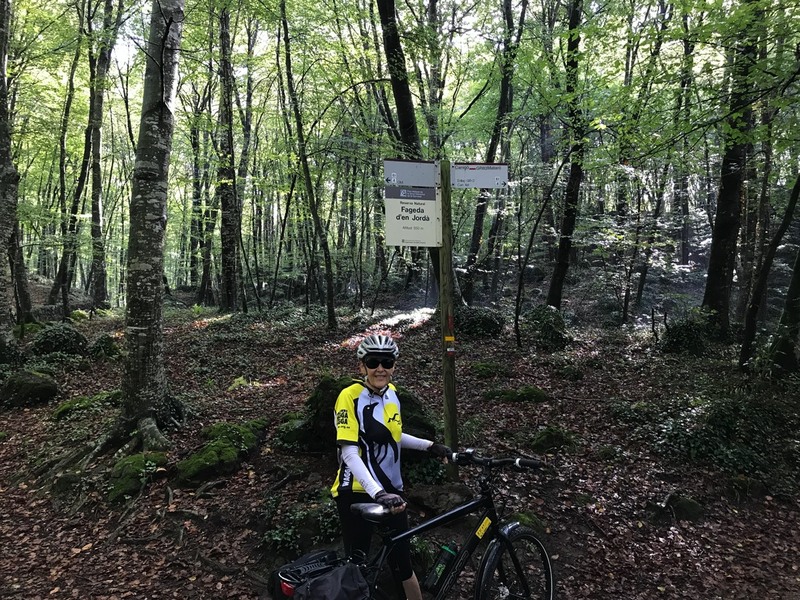 Paula Davis in a Beech forest near Santa Pau near Girona, Spain on 20 October 2017. 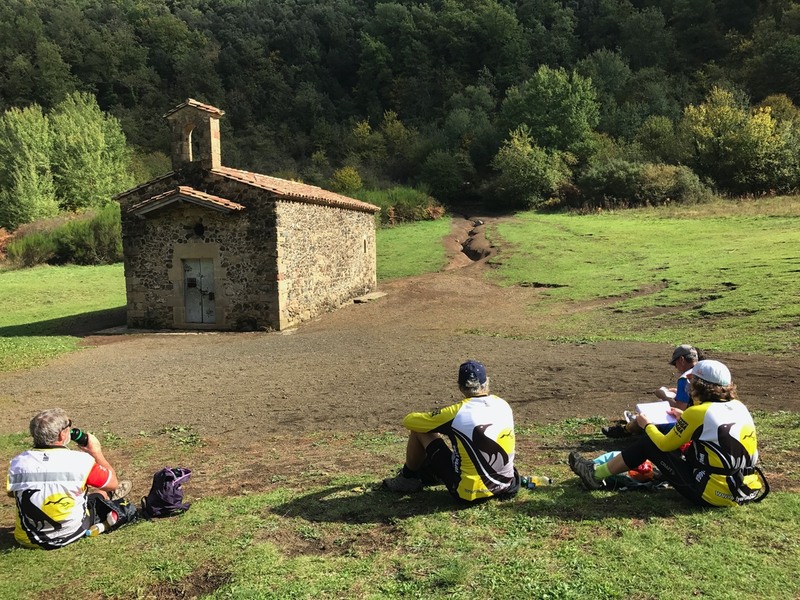 Ken Davis, John and Geri Louis with Paul Castle rest their weary legs inside the crater of an extinct volcano in Spain on 20 October 2017. Is this really a safe place to rest? Ken Davis moves away from the edge of the bridge at Sant Julia del Llor i Bonmati (locally known as 'The Bridge to Nowhere'), Spain on 22 October 2017. John Louis inspects the local architecture. 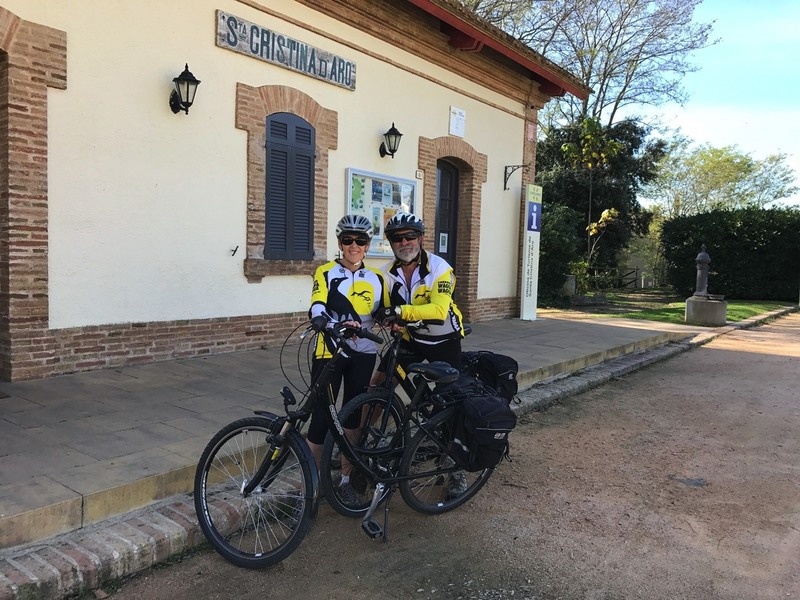 Paula and Ken Davis line up ready to go at Santa Cristina d' Aro, Spain on 24 October 2017. Paul and Beth Castle, John Louis, Ken and Paula Davis, and Geri Louis on 24 October 2017 at Sant Feliu de Guixois, Spain. 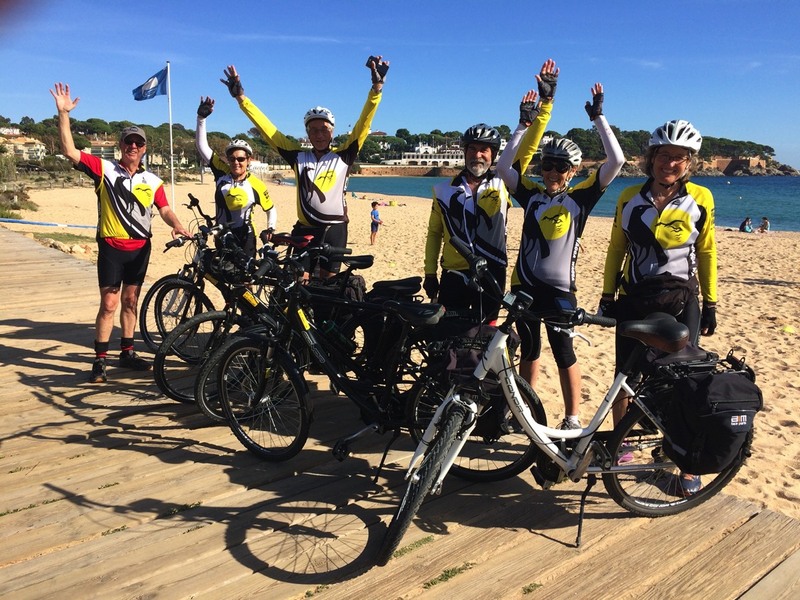 This was the finish of their 5 day, Via Verde to the Sea bicycle trip - Olot to Sant Feliu de Guixois in Spain. 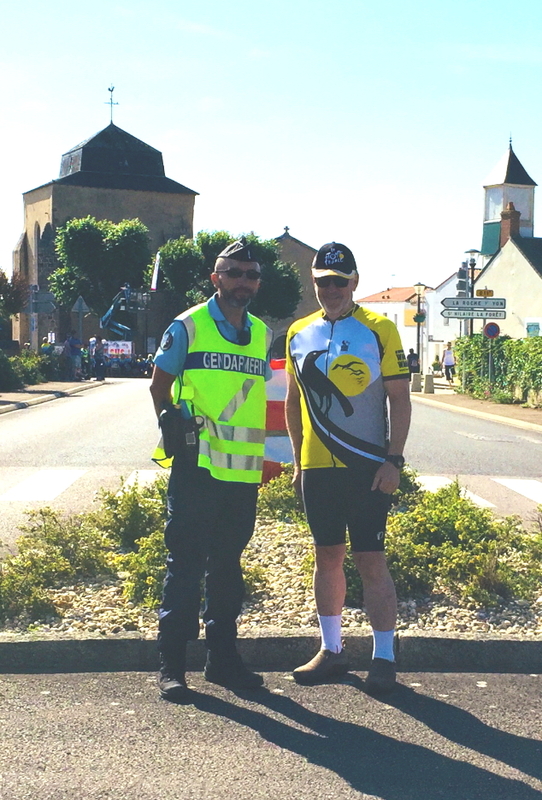 Owen Plowman in France, 7 July 2018, saying G'Day to the local constabulary! 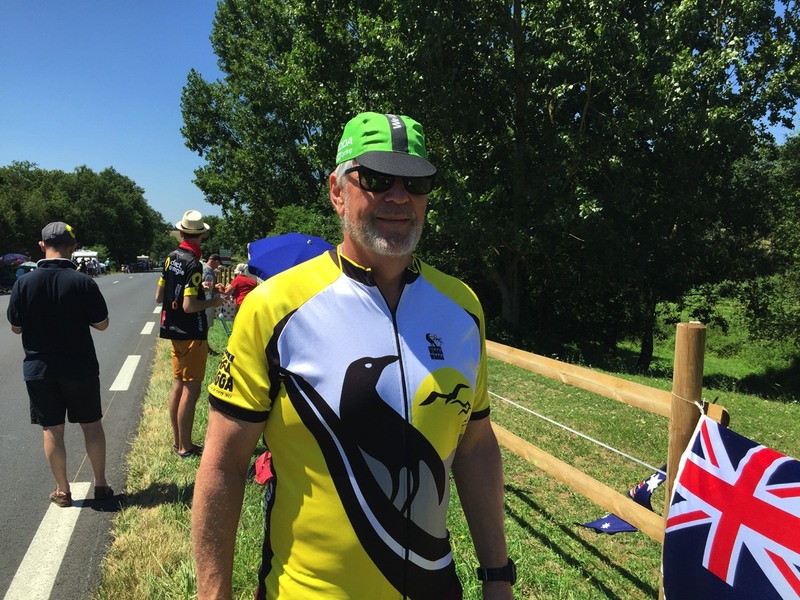 Owen Plowman at the Tour de France supporting the Australian riders in the Team Time Trials. 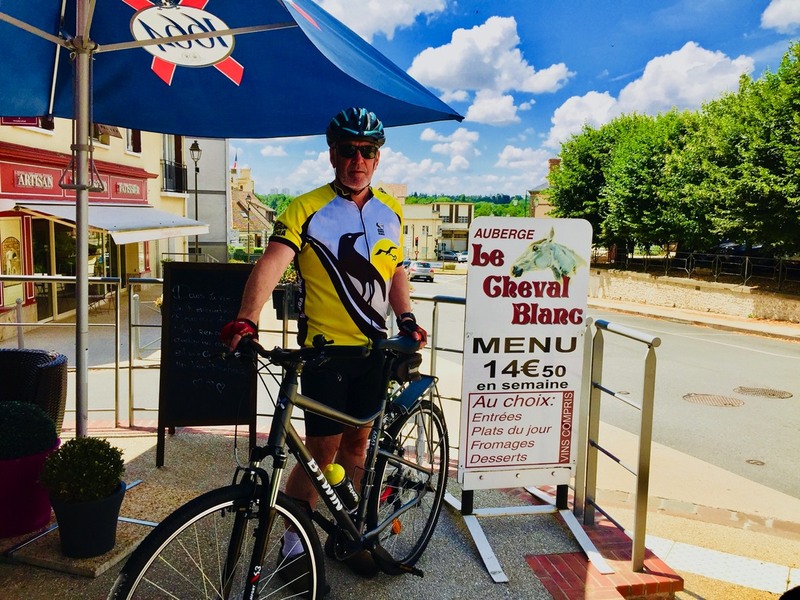 Owen Plowman at a great cafe in France, food was awesome! The sign says it all, Four Courses (Four Choices per Course) plus wine and coffee all for 14.50 Euro (approx $20 AU).